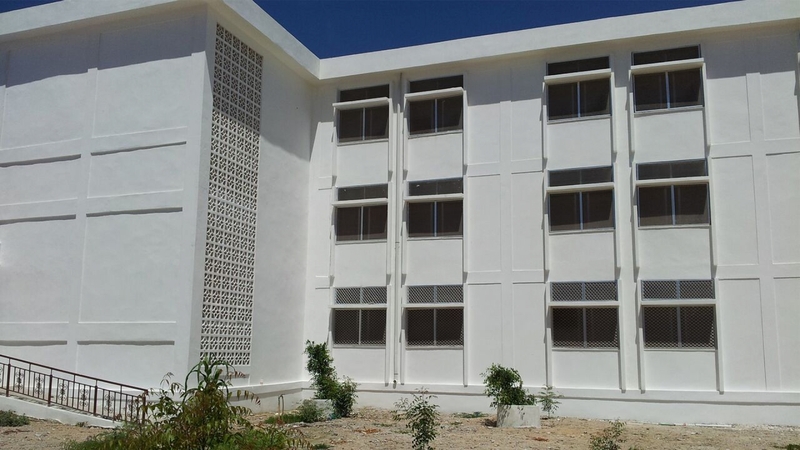 The 15 May school is an historic building, built at the heart of Mogadishu city centre very close to precedence palace or residence. 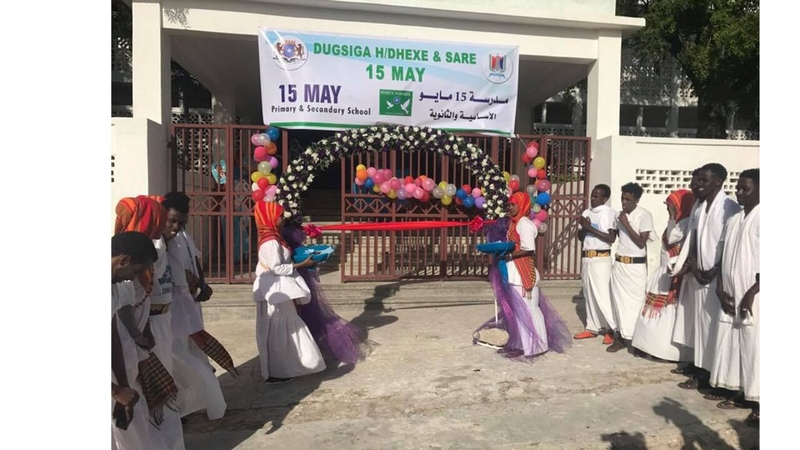 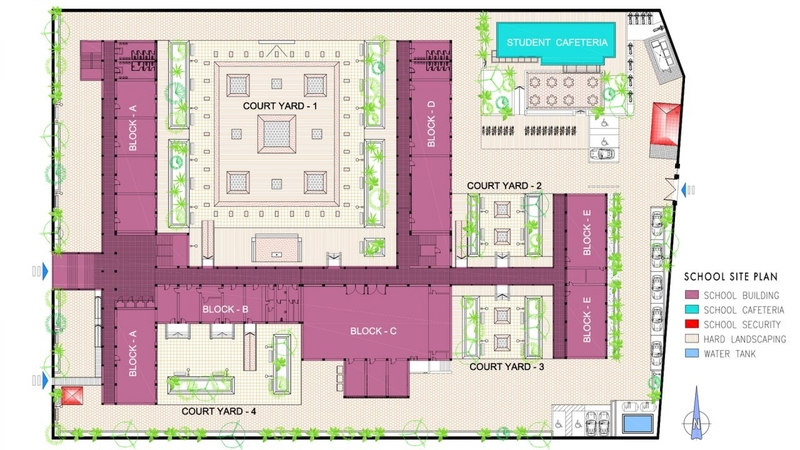 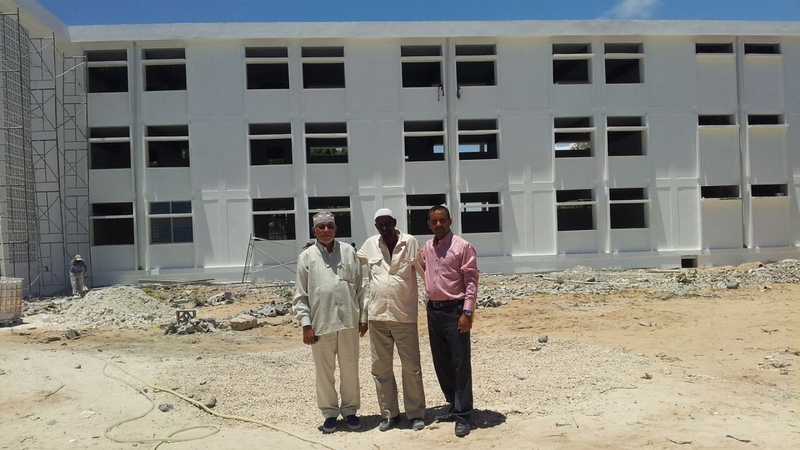 The school is built by EU assistance project in 1970’s, the school was well known school at the centre of Mogadishu and many famous and well-known people are graduated from this school. 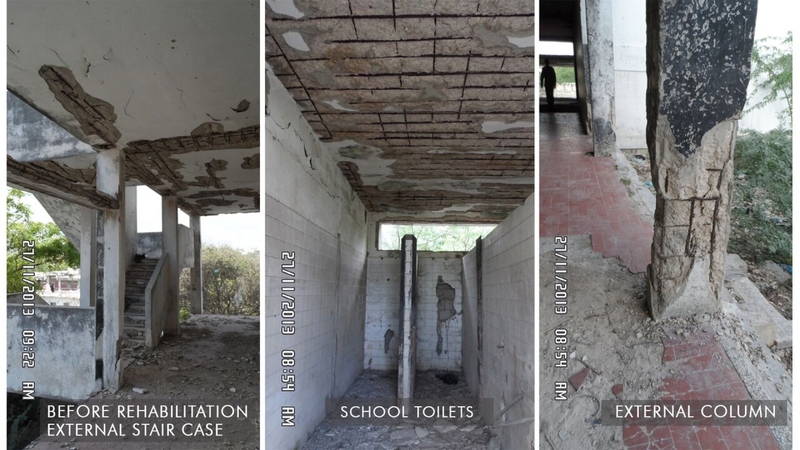 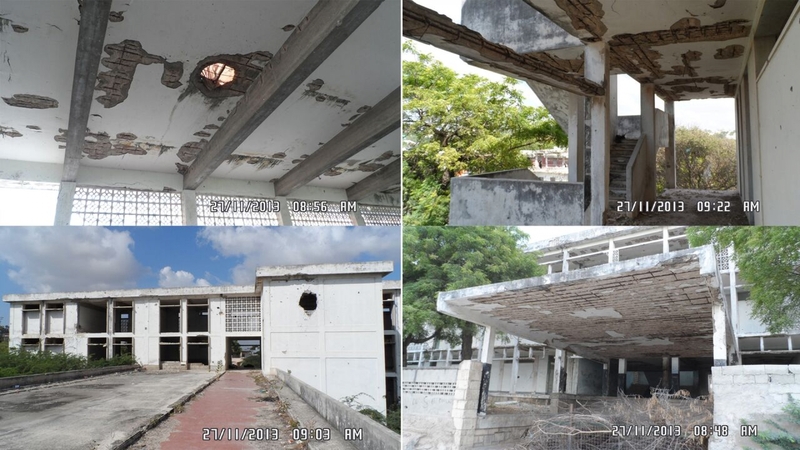 During the civil and ethnic war conflict, the school is used for cover by different fighting opposition groups, many structural damages by rocket and bullets, also long period of neglect caused a very badly structural deterioration. 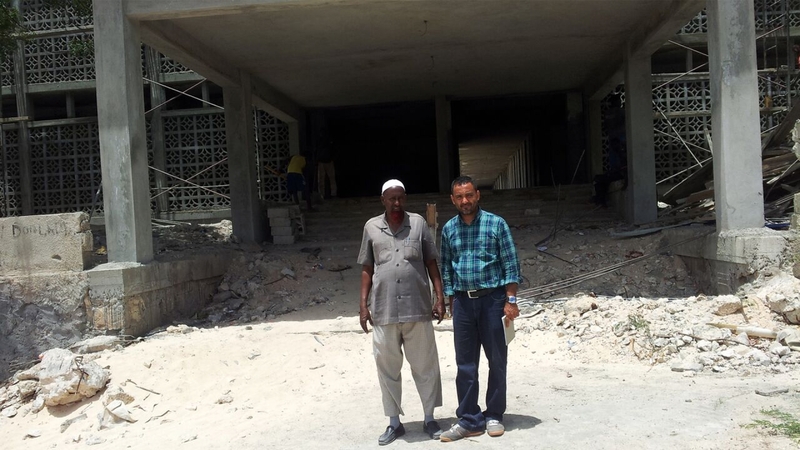 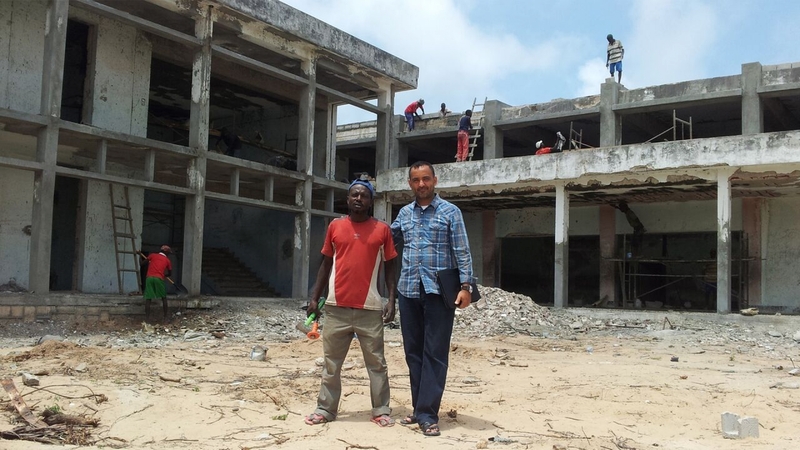 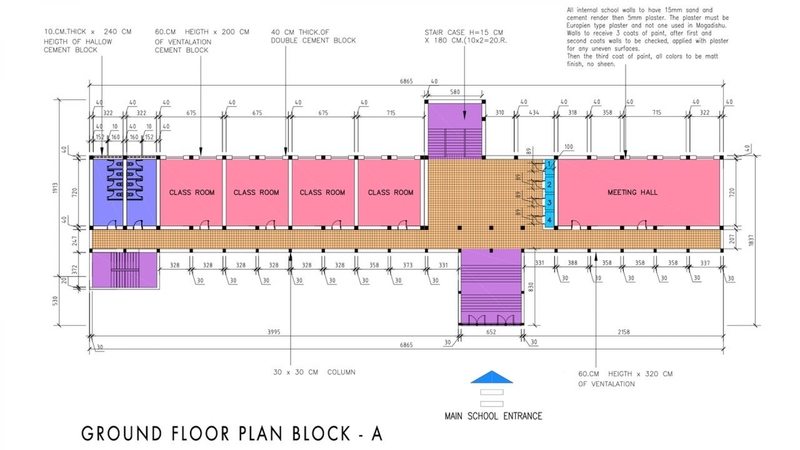 In year 2013 NRC ‘Norwegian Refugee Council’ funded the rehabilitation project for 15 May school. 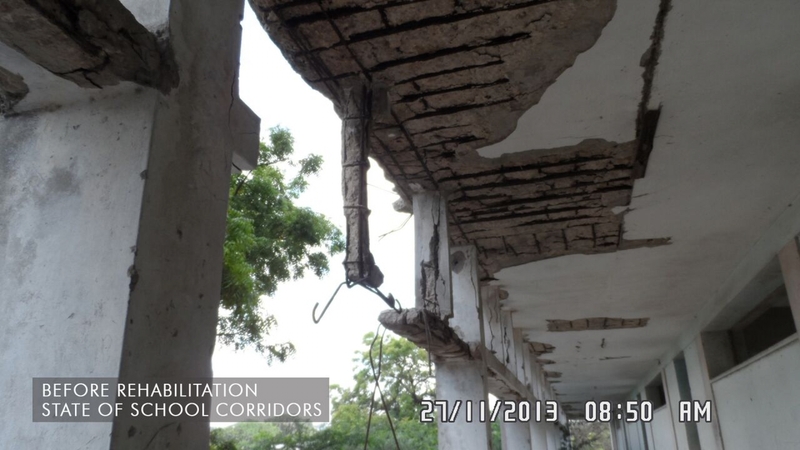 The rehabilitation works was very difficult and dangerous, there was bombs and mines the needed to be cleared before any work could start. 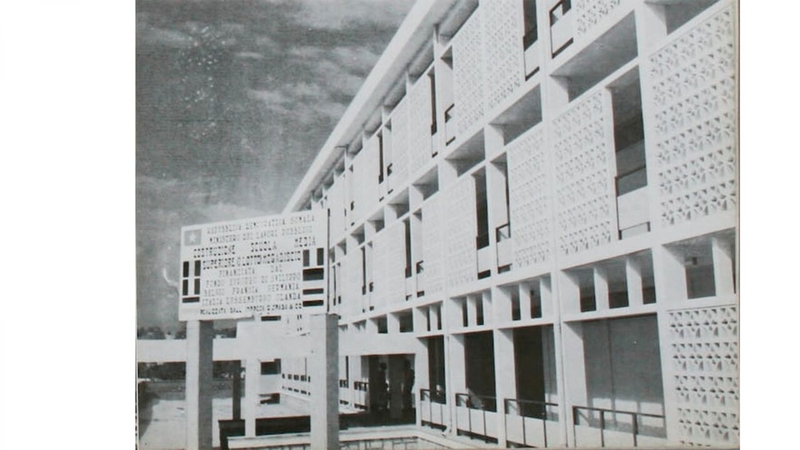 There were also human burials which needed relocating, this has been done with great care for deceased and has been relocated with care and respectable considerations. 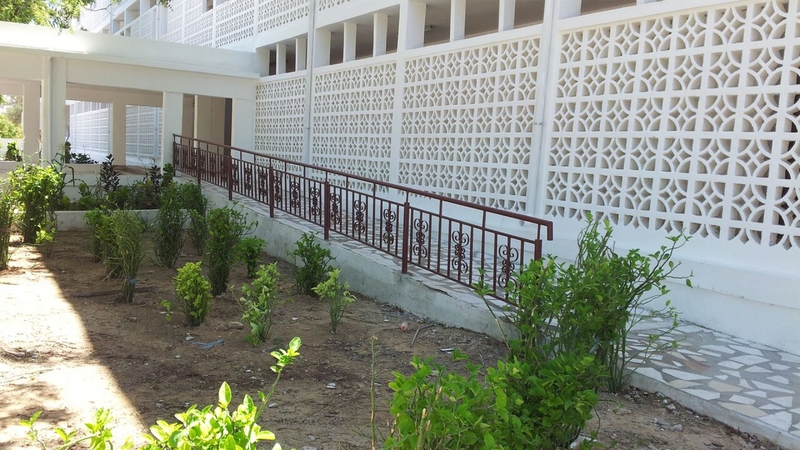 The school and surrounding land was inaccessible due to overgrown planting to a thick bush, this had been cleared.